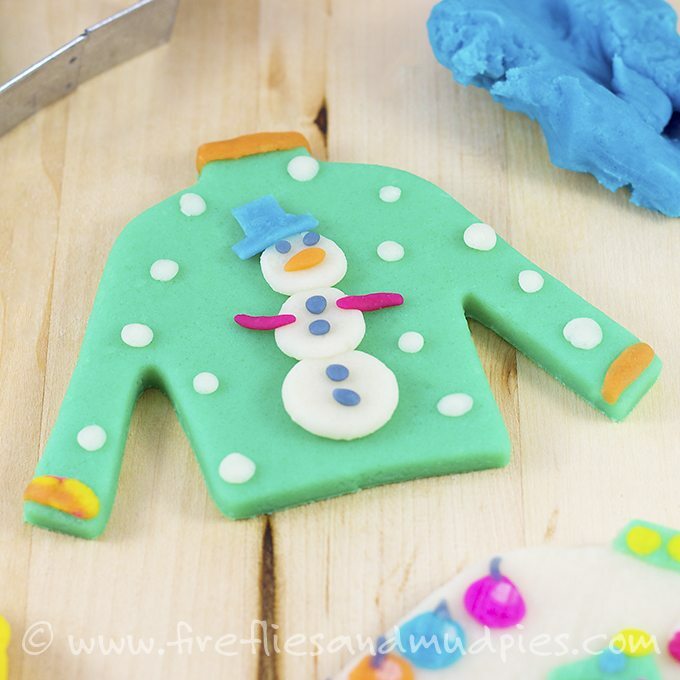 By Melissa Lennig on December 16, 2015 Leave a Comment. This content contains affiliate links. As an Amazon Associate I earn from qualifying purchases. “Well, it’s an ugly sweater that people like to laugh about at Christmastime.” So I made one—complete with candy canes, a tree, and holiday lights. Atta boy! He finally understood! 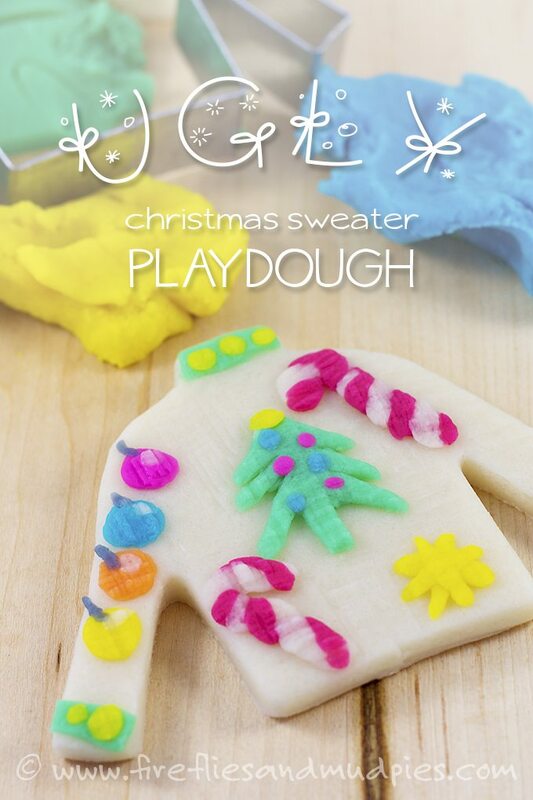 We rolled and shaped, then paraded our playdough sweaters into the other room where my husband was working. “It’s an ugly Christmas sweater contest.” I added. My little one cheered, high-fived his Dad, then went back to the kitchen to continue playing. 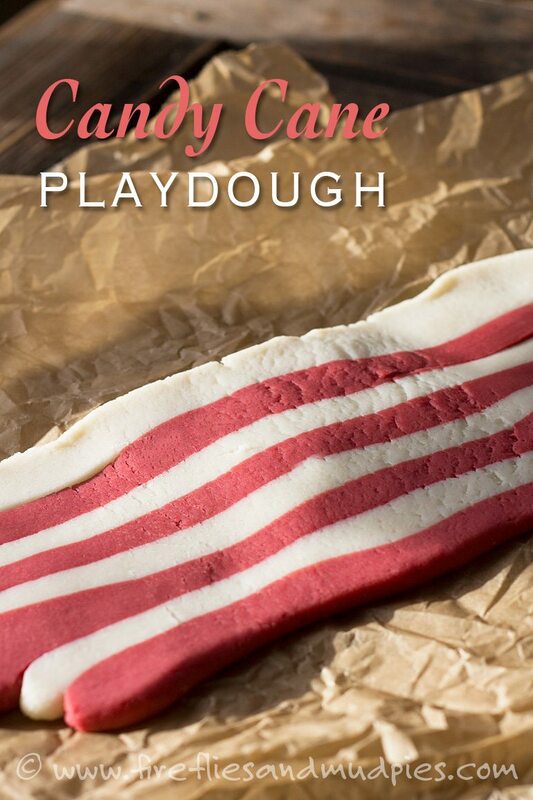 Shared below is our favorite playdough recipe. 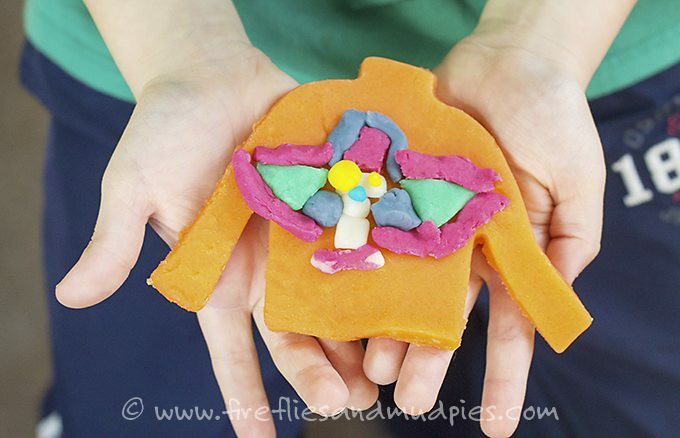 Click HERE to see all of our playdough activities for kids! Mix the ingredients together in a pot. Stir the playdough mixture over medium heat until it clumps into a ball. Remove the playdough from the pot. Cool, then knead until smooth. Repeat to make more colors! 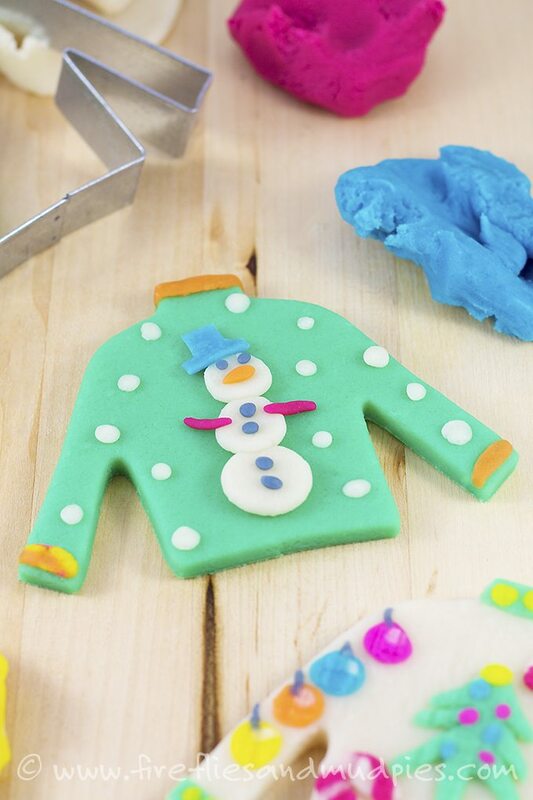 Use a rolling-pin to roll out the playdough, cut with a sweater cookie cutter, then decorate!